I hope you all had a nice weekend! 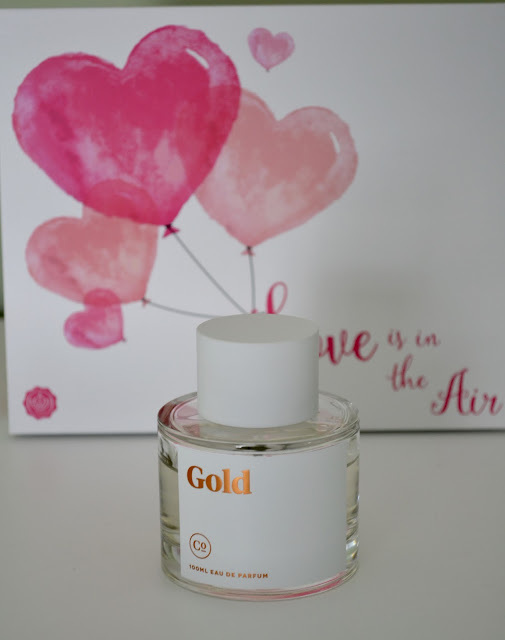 Today I am going to be sharing with you my February favorites! 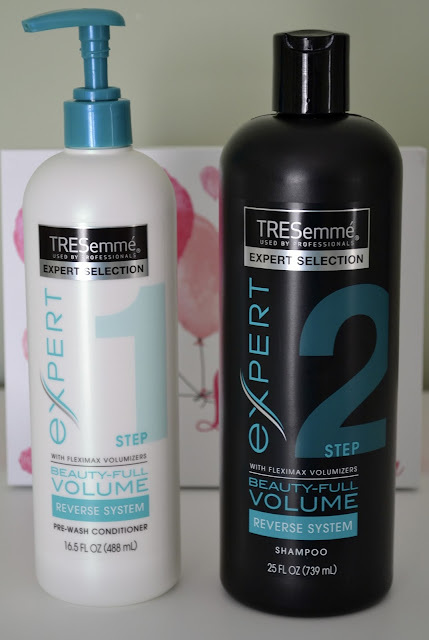 TRESemme Beauty-Full Volume Reverse System: I have been getting so many compliments on my hair since I started using this Pre-Wash Conditioner and Shampoo. I am not a huge fan of using conditioner in my hair after I wash it because it usually makes my hair look and feel greasy. Not with this system! My hair looks shiny and healthy and stays tangle free and lifted all day. 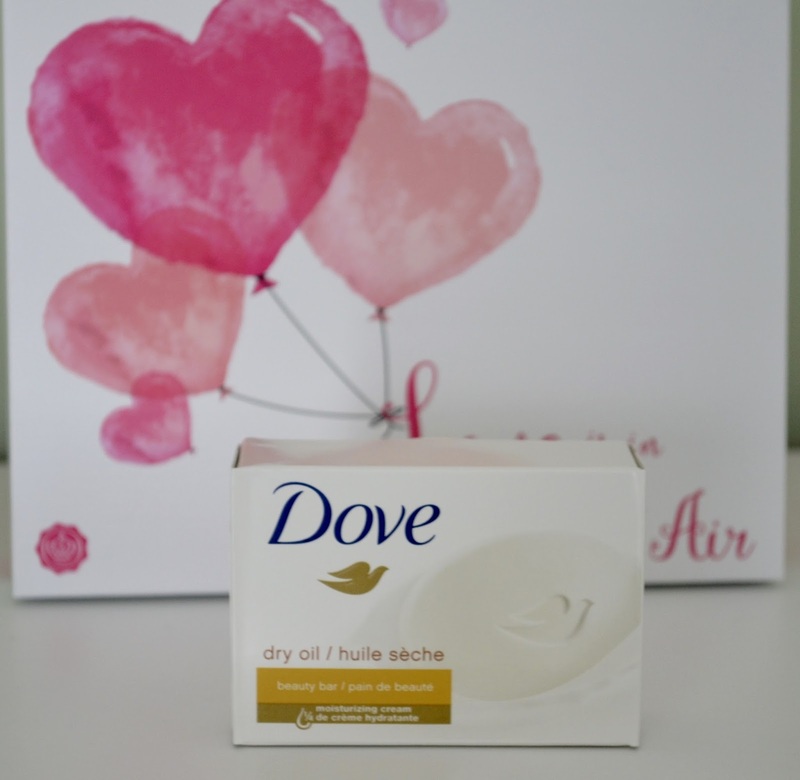 Dove Dry Oil Beauty Bar: During the winter my skin gets very dry so I need all the help I can get with keeping my body nice and hydrated. I love this Dry Oil bar because it gives me that extra boost of moister my skin needs right in the shower. It has a nice delicate smell too making it perfect to layer lotion on top of. Jergens Wet Skin Moisturizer: If you have not tried this body lotion you need to get in your car right now and go to CVS, Walgreens, Target to get yourself a bottle, or two, of this! I will never go back to applying body lotion the old way! 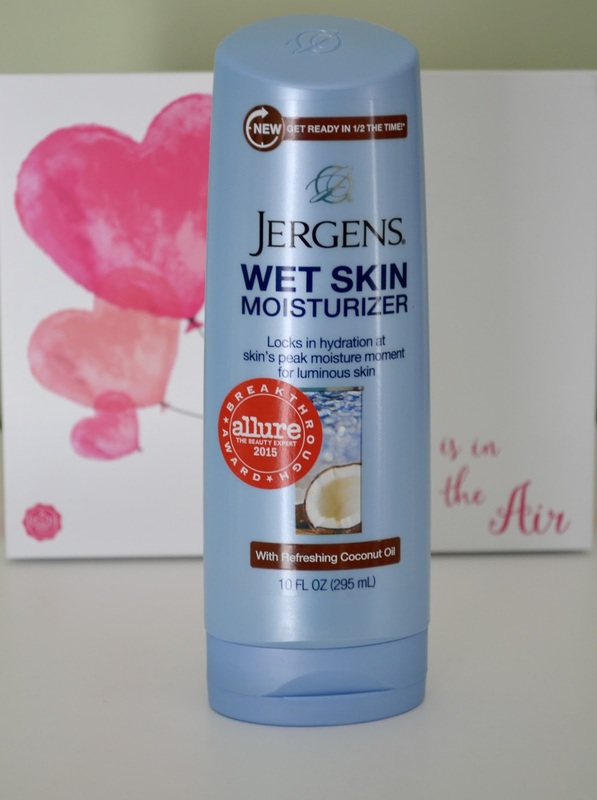 After you get done with your shower and before your dry off, you apply this moisturizer to your "Wet Skin" and then towel pat dry. Your skin just drinks it up and you don't feel greasy or slimy after! 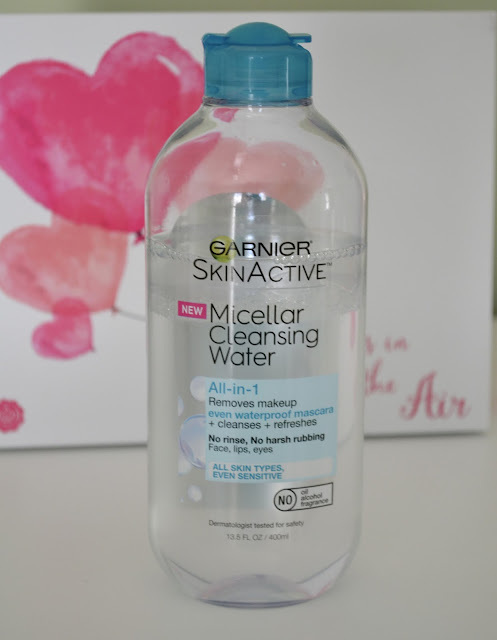 Garnier SkinActive Micellar Cleansing Water: I'm a little late on the Micellar bandwagon but I so glad I finally jumped on! This stuff is so cool! I love using it after I wash my face at night. It helps to get rid any lingering makeup or mascara residue. Plus I doesn't dry your skin out because there isn't any alcohol in it. It the perfect way to refresh your skin after a long day. 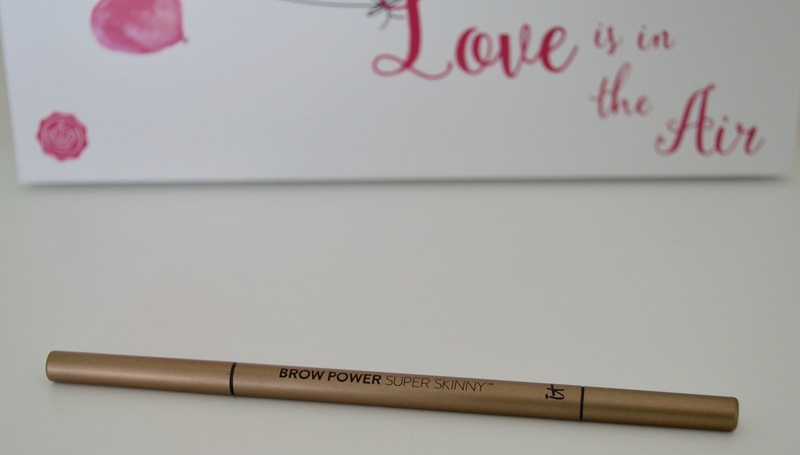 It Cosmetics Brow Power Super Skinny Pencil: So say I love this brow pencil would be an understatement! I am OBSESSED with this pencil! I don't know how I ever did my brows before this little miracle came into my life haha! It makes filling in your brows SO easy and they look so natural. There is a range of colors to fit every brow color. Another product you won't regret buying! It Cosmetics Superhero Mascara: If you have visited my blog before or follow me on social media you probably already know how much I love this mascara! This isn't just a February favorite this is a forever favorite. 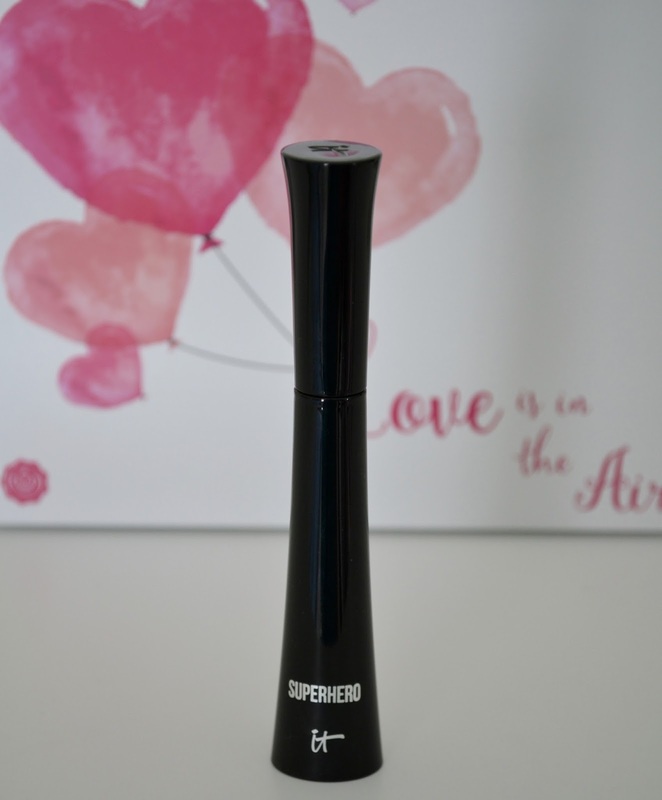 This mascara really does have super powers! My lashes look so full and long without looking clumpy. I love the fact that people think I'm wearing falsies that's how long my lashes get with just one application! Maybelline Master Fix Makeup Setting Spray: If you are looking for a great drugstore setting spray, I would definitely recommend this one! I am a huge fan of Urban Decay's All Nighter setting spray but It can be a little pricey. 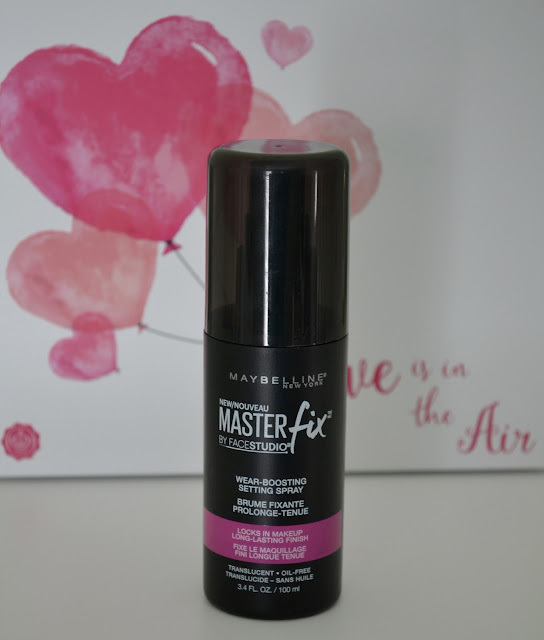 This is a great alternative and at almost half the price, you can buy two of these for the price of one All Nighter Spray.